A couple of weeks ago, a tall lanky guy wandered into my recording studio by accident. We got to know each other, and found we had a lot in common. Then, I pulled up a youtube video of him playing… wow. Here’s a video- you can go to YouTube and type in his name and be entertained for hours. He and his wife have moved to Terlingua and are creating a space for artists called “Glint” on their land. He told me a little about himself: he’s a touring musician, does better in Europe than the U.S., is quite technologically savvy and knows his way around a recording studio. Sunday, 4-12-15, High Sierra Bar and Grill, Terlingua, Texas. Funding for the third annual “Voices From Both Sides” Fiesta-Protesta was provided by the Terlingua community at last night’s benefit/auction. It all started with music. As Jeff Haislip and Patrick Smith performed, a fabulous “wall-cloud” storm blew in from the West, dropping the temperature by at least 15 degrees, and blowing wind and rain at a high velocity. Inside the High Sierra, musicians made music, kids played with various electronic devices and each other, and friends talked and hugged. Collie Ryan, Jalapeno Schwartz, Chris Baker, Charlotte Teer, and others performed. After the music came the auction, and several hundred (thousand?) dollars were raised to help Jeff and Collie Ryan put on the show. After the auction, the music resumed, the storm moved on, and the sun came out. Now that the “Reality” show is airing, I’ve noticed that we’re getting a little traffic here. You may be curious about what’s real and what’s not in that show. The “reality” show in no way reflects the reality of living in Terlingua. For example, they imported the rattlesnake from Terlingua Ranch. That snake should get a SAG card, it got so much screen time. The local participants were paid and directed, the show was scripted from the get-go. Here’s a fun little factoid: you can’t have a synopsis (of a script) without a script. See below. The narrator is a professional actor from Marfa. Never seen him in Terlingua. All the footage of Glenn is from a previous film called “24 Hours in Terlingua.” That little movie is a much better representation of the people who actually lived here at that time. Most of them still live here. The locals you see in the show are the only ones who agreed to be in it. So, you’re seeing that part of the population that either needed the money or wanted to be on TV. Obviously, this small sample that self-selects to be on a reality show isn’t representative of the population of Terlingua. Most of us knew they were going to capitalize on Glenn’s murder and Tony’s trial because it was in the synopsis I posted originally. See below for how we feel about that. The bar that represents the Ghost Town in the show is actually way out on the fringe of the ghost town. The owners of the bars and other businesses that are actually in the ghost town denied permission for the TV crew to shoot on their property. The new owner of La Kiva denied access to his property. The re-enactment of the murder (isn’t that classy?) was done at a bar in Marfa. 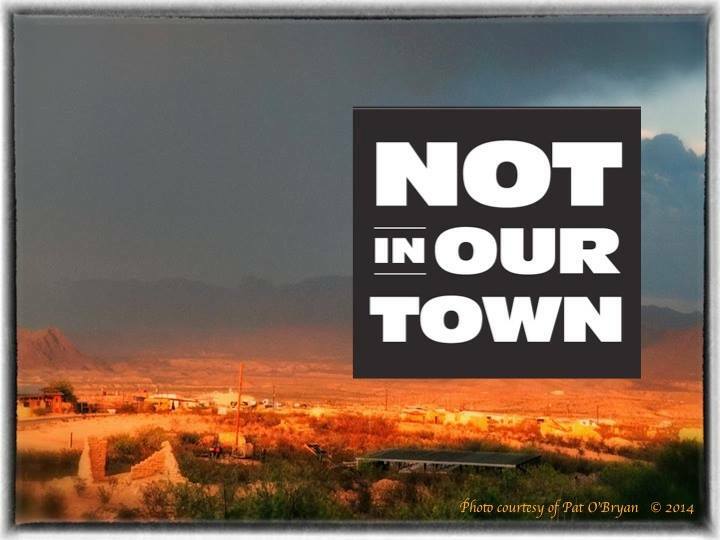 A reality show in Terlingua? A reality show in Terlingua that is going to exploit Glenn Felt’s death and Tony Flint’s trial? people whose gusto for life takes us all over the Badlands of Texas. 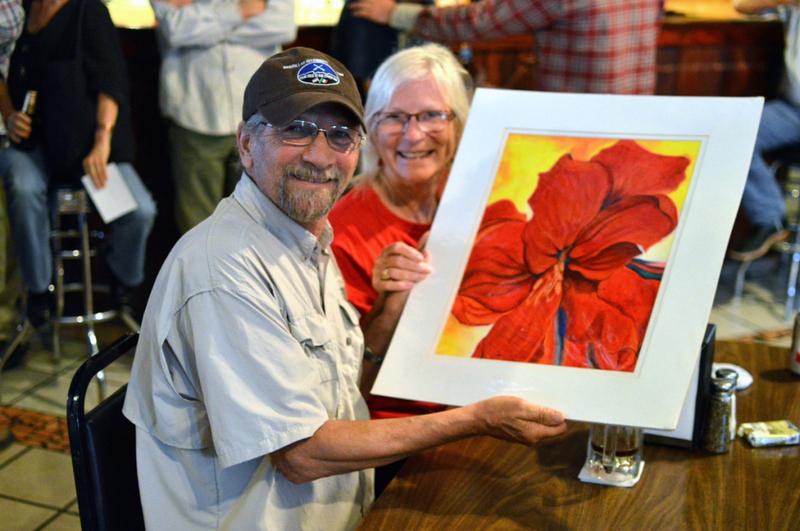 Glenn and the celebration of his life and what he meant to the community. photos that were posted and the video crew that was filming. Burbank, California and was founded in 1999 by veteran television producer Thom Beers. Original Productions is best known for producing reality television shows for the Discovery Channel but has more recently produced shows for other networks such as History, NatGeo, truTV, and Spike. Some of its most popular shows are Deadliest Catch, Ice Road Truckers, Ax Men, Coal, Black Gold, and 1000 Ways to Die just to name a few. Its earlier hit was Monster Garage. Networks division of 21st Century Fox and the National Geographic Society. My initial thought was that the timing was excellent. I’m sure they’d pay me well for the use of my photographs. I was tempted. I’ve had some expensive health issues lately and could use the money. Seeing my photos on a national TV show would be nice. Prestige and money. What’s the problem? 1. Tony and Glenn both were/are friends of mine. The story of Glenn’s death is not a simple, one-dimensional story and it’s far too personal to trivialize. The fact that they’re shooting their “reality” show during Tony’s trial is not a coincidence, and is insidious. 2. There is a rich, nuanced and fascinating story to be told about Terlingua. The people who live here and the culture we’ve created are unique and valuable. It would be good for the rest of the world to know that such a place exists. The Terlingua they describe in their synopsis bears no similarity to the place where I live. Unfortunately, the producers of this show aren’t interested in the story of Terlingua. No. We have nothing to talk about. You do not have my permission to use any of my intellectual property or content, including photographs and videos, for any purpose at all- and specifically not in a reality show. Especially THIS reality show. From your synopsis, it’s obvious that you’re starting with a false premise and are going to create your “reality” show to fit that premise, regardless of how far away from reality that premise is. Exploiting Glenn’s murder and Tony’s trial for profit and cheap sensationalism is inexcusable. I’m especially irritated that you want to create a narrative that focuses on how Glenn’s death has “torn the community apart.” It has done no such thing. 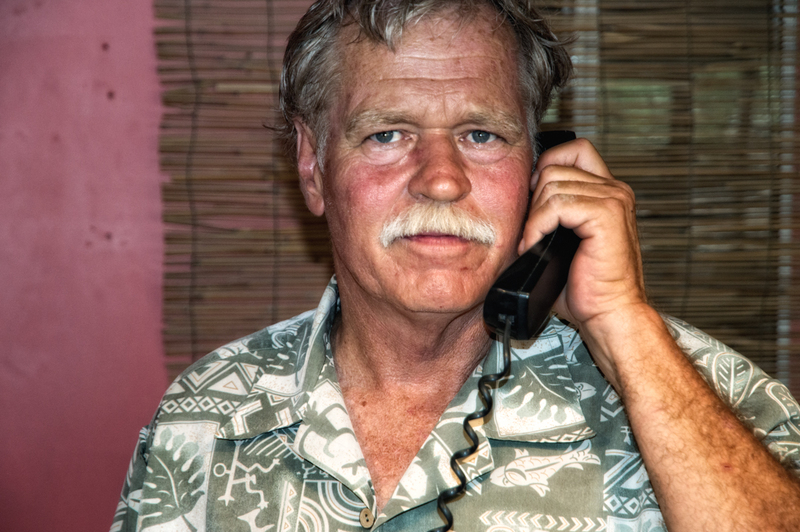 There is a good story to be told about Terlingua, its people and its history. This reality show isn’t it. 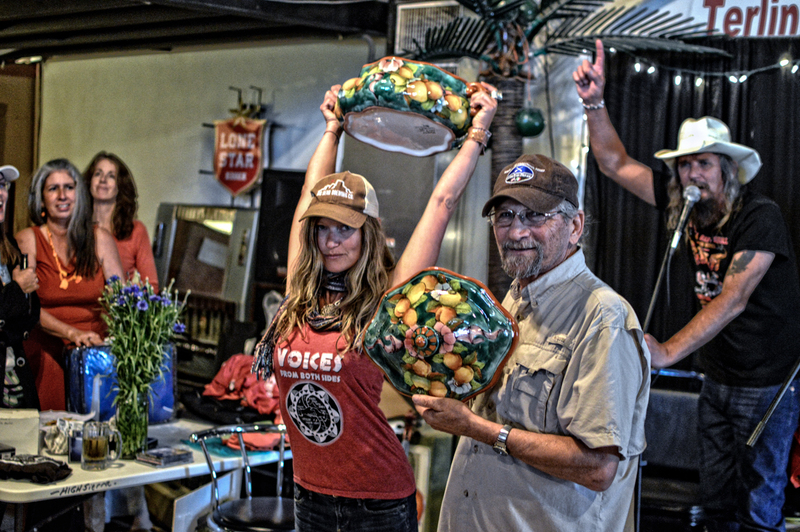 “Will play for food – for others.” Terlingua Musicians Rock! 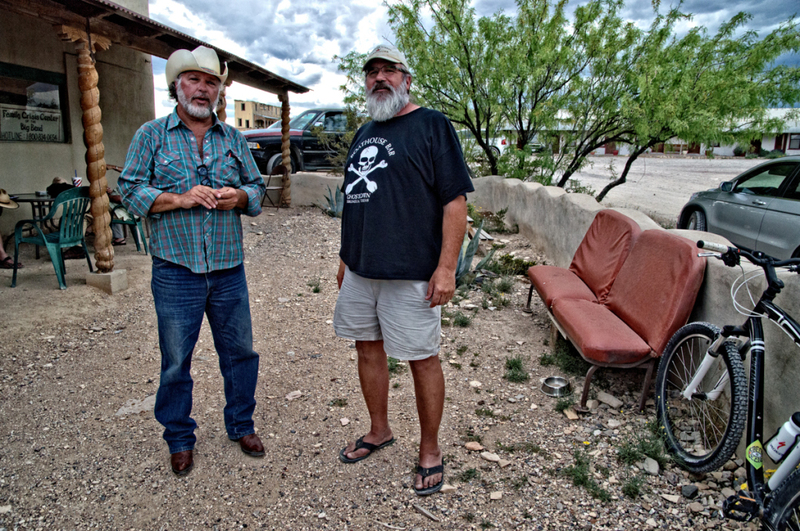 Terlingua musicians rock in many ways- musically, compositionally, harmonically, personally. 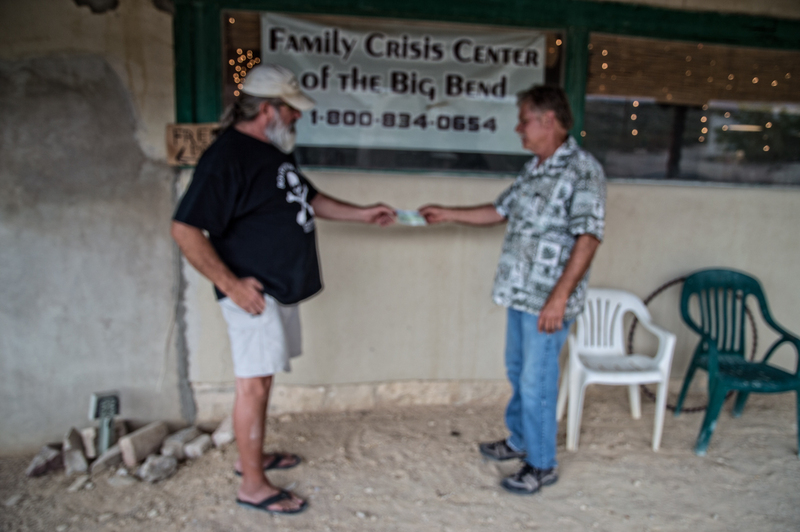 Yesterday, they rocked compassionately as Jeffro Greasewood handed Mike Drinkard a check for $1,200. Jeffro hands Mike the check. 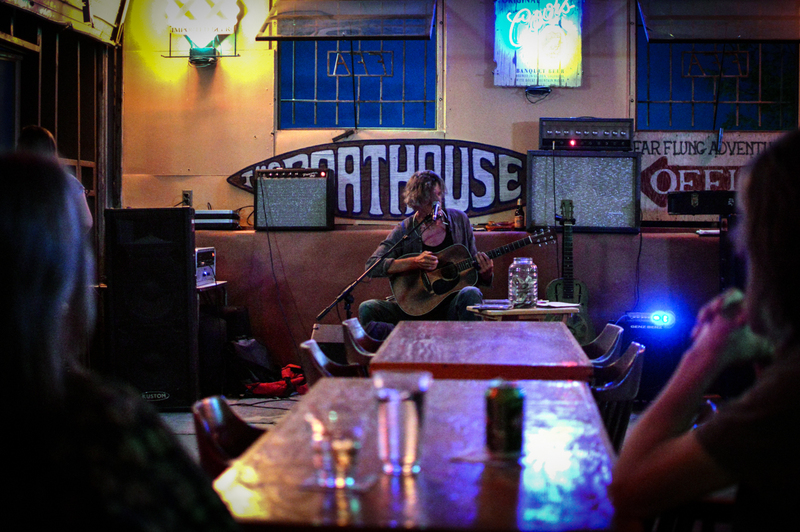 Jeffro runs the open mic at the Boathouse on Wednesdays. Anybody who runs an open mic knows this one: you might run 30 musicians across that stage- who gets the tips? Jeffro’s solution was to pool the tips and donate them to the Big Bend Crisis Center’s Food Distribution program- the local food bank. The open-mic participants agreed that this was a grand idea. The food bank is a popular charity for local musicians- in our small community in some months 240 households get food assistance. The majority of the recipients are either children or the elderly. That $1,200 check will completely fund the food distribution program for 2-4 months. Congratulations and a big round of applause to Jeffro, Jeff Haislip, Charlotte Teer, Jim Keaveny, Anna Oakley, Alex and Marti Whitmore, Emy, Bryn Moore, Hank Woji, Mark Lewis, Chase Peeler, Shannon Carter, Laird Considine, Trevor Hickle, Trevor Reichman, Webster Delcambre, Jana Laven, and the rest of the open mic gang, and a deep bow of gratitude to the Don and the Boathouse for supporting local music and musicians.